The internet is chock full of glossy photos of brand new terrariums in all their leafy glory. But what about the old terrariums, with dying plants or problem spots? Kudos to yellowbrickhome.com for sharing some tips and photos of removing some dead plants from a mature terrarium. 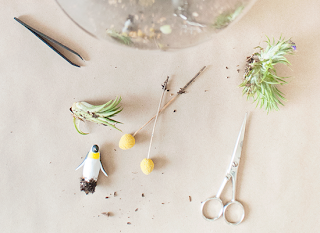 I highly recommend popping over to the post to see the ingenious use of household tools to fix up an ailing terrarium.